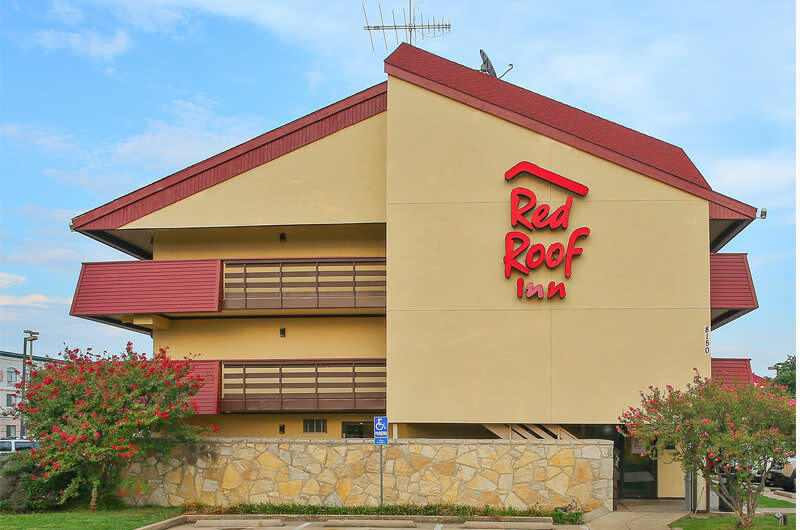 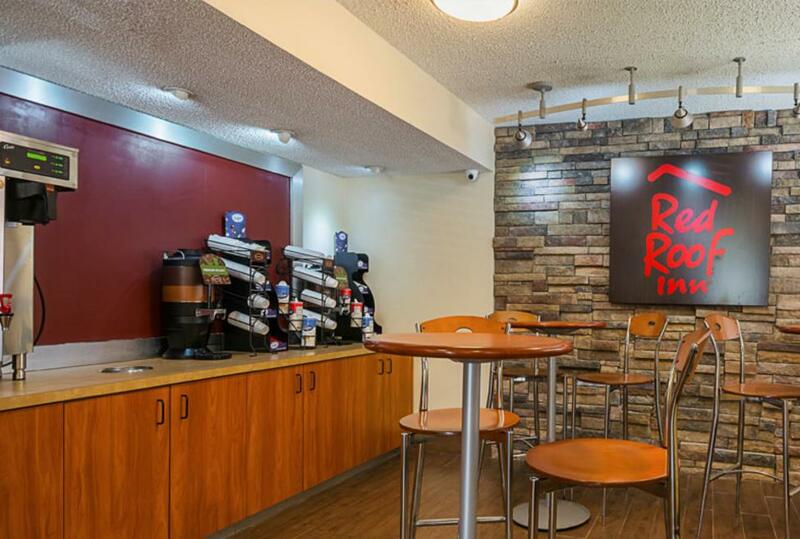 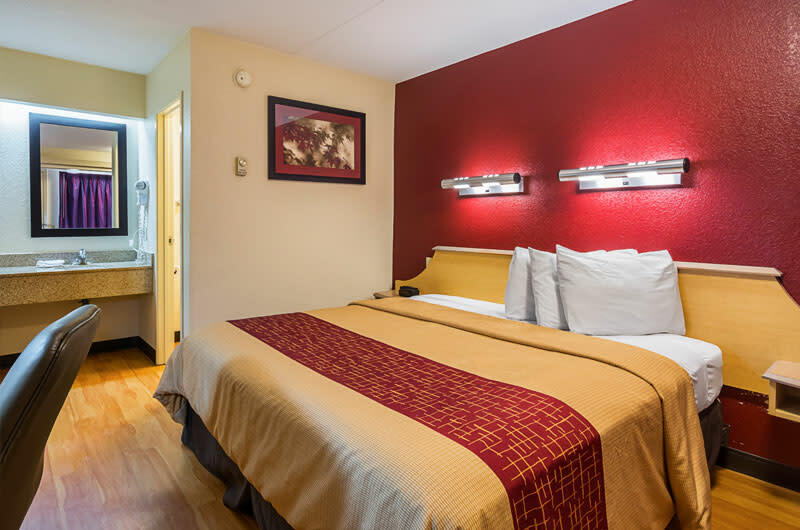 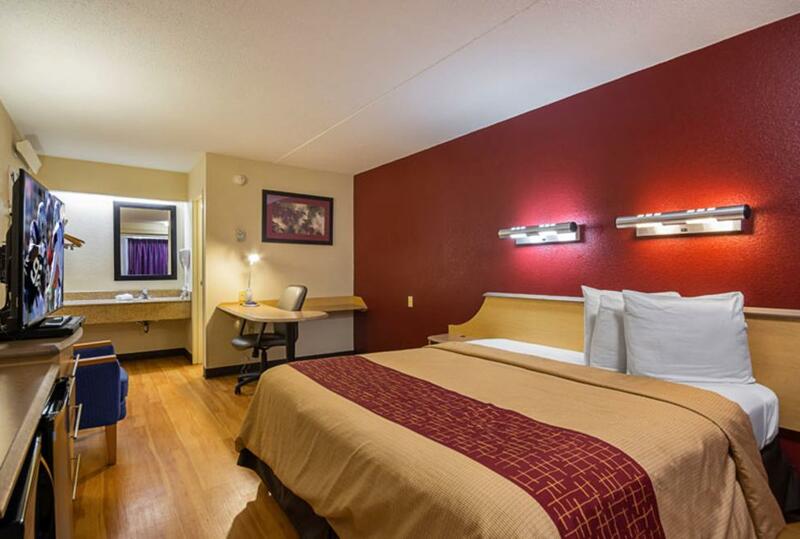 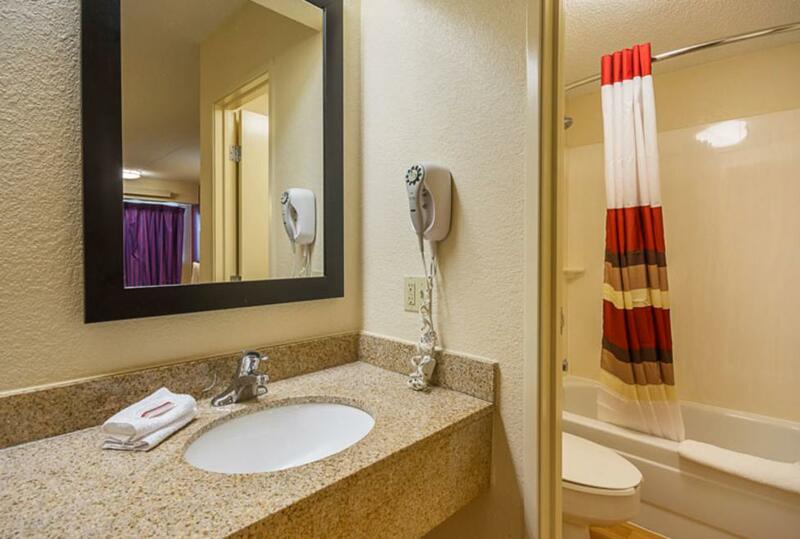 The Red Roof Inn Allas - DFW Airport North has a great location, only 2.4 miles from DFW International airport, near Las Colinas, Grapevine Mills Mall and the new Irving Convention Center. This family friendly hotel is also a short distance to Six Flags, and Texas International Speedway. Come enjoy Texas hospitality at its finest! Take advantage of the FREE shuttle service to and from the airport. *Free parking for night(s) of stay only -- special Sleep, Park, and Fly rates available for those guests wishing to leave their car at the hotel for additional nights. 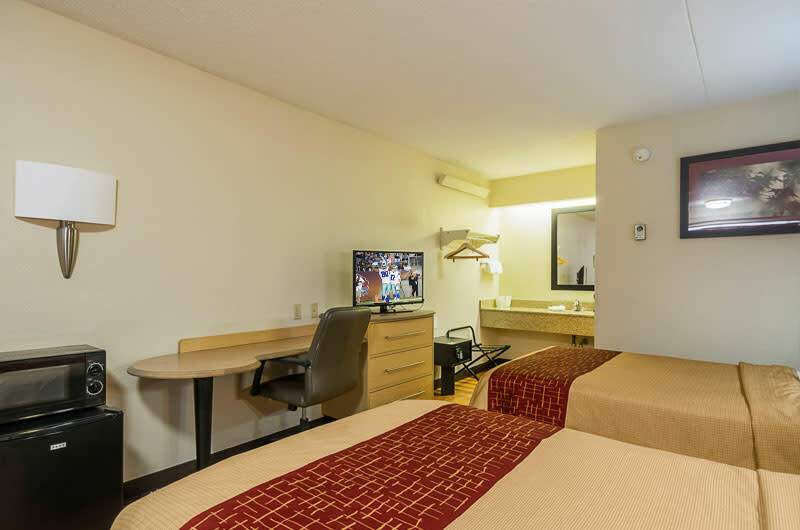 Other amenities include free WiFi in all guest rooms, a conference room, suites, a coin laundry facility and elevators.